AUGUSTA, Maine — Gov. 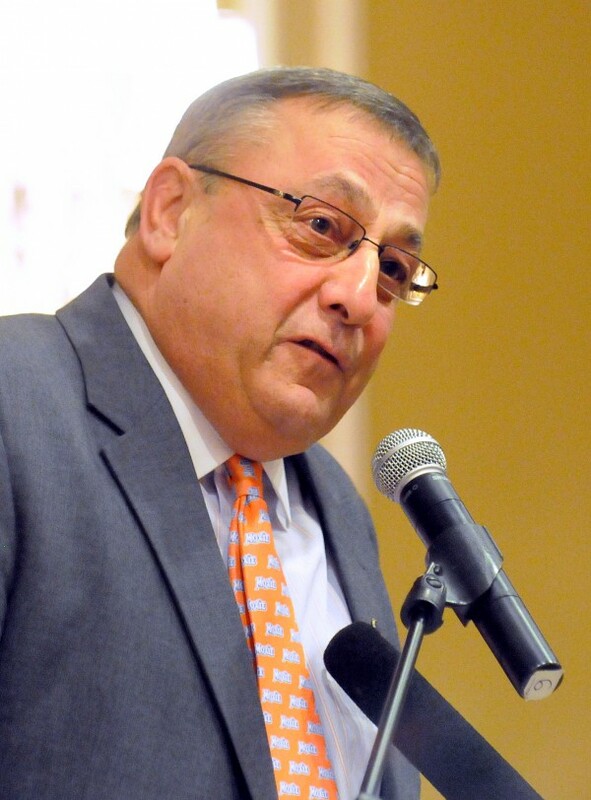 Paul LePage on Monday swore in Maine’s newly elected constitutional officers — including two who had served in the same positions until losing them to Republicans in 2010 — at a State House ceremony. Matt Dunlap of Old Town, who served three terms as secretary of state from 2005 to 2011, was sworn in again as secretary of state. Janet Mills, who served one term as attorney general from 2009 to 2011, returned to her post as the state’s top lawyer. And Neria Douglass of Auburn was sworn in as state treasurer. LePage also swore in a new state auditor, Pola Buckley of Hallowell. Buckley replaces Douglass in that post. While the secretary of state, treasurer and attorney general are constitutional offices, the state auditor is considered a statutory office, since it’s not defined in the state constitution. The four posts are elected by the Legislature rather than a popular vote. Dunlap, Mills, Douglass and Buckley were elected last month by newly sworn-in Democratic majorities in the state House and Senate. Dunlap replaces Charlie Summers as secretary of state, Mills replaces Attorney General William Schneider and Douglass replaces State Treasurer Bruce Poliquin. Douglass pledged during a brief address Monday to attempt to persuade LePage to release unissued state bonds that he has said he doesn’t plan to issue until 2014. That remark provoked a laugh from LePage. Dunlap, Mills and Douglass will serve two-year terms. Buckley will serve a four-year term.